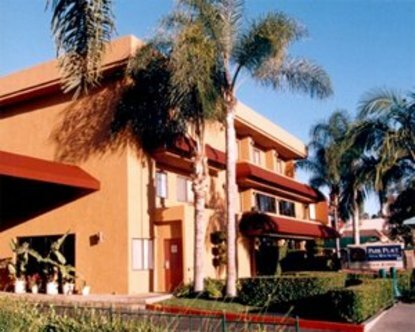 The Best Western Park Place Inn and Mini-Suites welcomes you to Anaheim, CA. Whether it is business or pleasure, you will be in the heart of Anaheim, directly across the street from the magic and splendor of the Disneyland Resort, and just a short walk to the Anaheim Convention Center. Disney Park Hopper Tickets and various Southern California tours are available for purchase at our hotel front desk, where a friendly smile and a warm welcome are awaiting you. The Best Western Park Place Inn and Mini-Suites offers guests rooms equipped with mini-fridges, microwaves, high-speed Wireless Internet, on demand premium movies, complimentary continental breakfast offered daily, and the comfort of knowing we are a Best Western, a part of the World's Largest Hotel Chain.